Going to school these days is absolutely different from how it used to due to mobile technology and the Internet. There are a lot more resources that are freely available to you just by going online. This isn’t just constrained to websites, but also apps, podcasts, and even movies! As different sites and media pop up to help with learning and exposing students to a wider variety of topics, students like you can take advantage of this. Given that there is an endless sea of content out there, where do you start? We took the time to put together some trusted and recommendation-worthy digital resources for students! Whether it’s a mobile phone or a tablet, it can be turned into a studying tool with the right apps. Here are 10 of the best apps for students that can certainly help improve any student’s productivity and learning experience. Without further ado, here are the best educational apps that we recommend. If you can’t quite write fast enough or if your attention span in the classroom isn’t the best, then this app can help you with your woes. 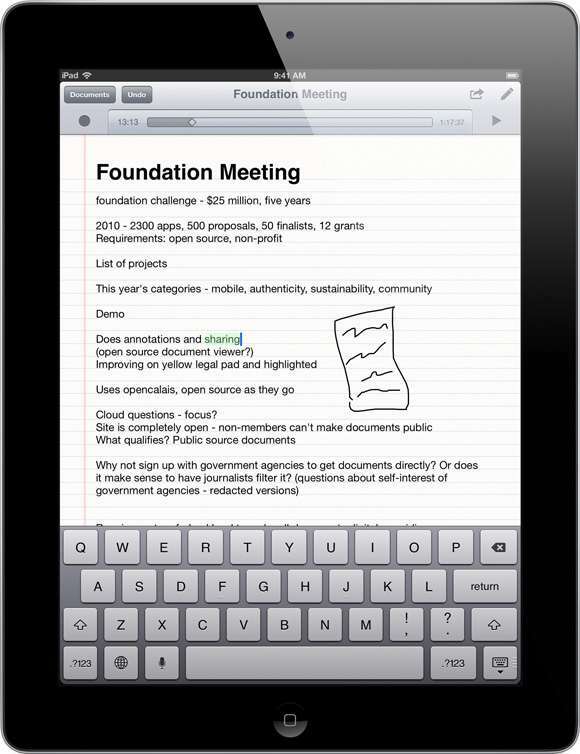 It is the leading note-taking app, and it’s available for free for multiple platforms. You don’t need to cry about your dog eating your homework anymore unless it actually eats your entire mobile device or computer—which is unlikely. Anything you type on it gets saved to the cloud, which you can then bring back out for further revision. You can add things alongside your notes such as attachments or reminders for upcoming due dates or exams. The most trusted name in helping students cram for English exams since 1958, CliffsNotes now has its own app that can help make studying English literature much easier right from your own mobile device. If you don’t feel that you understand last night’s reading well enough to be ready for today’s book report, you can consult CliffsNotes and get the key points of just about every well-known novel, short story, poem, or play that you had to sit through in class. It also saves you the time of having to entirely re-read the entire novel at the end of the year before the exam, since you can consult their summaries and overviews to jog your memory. 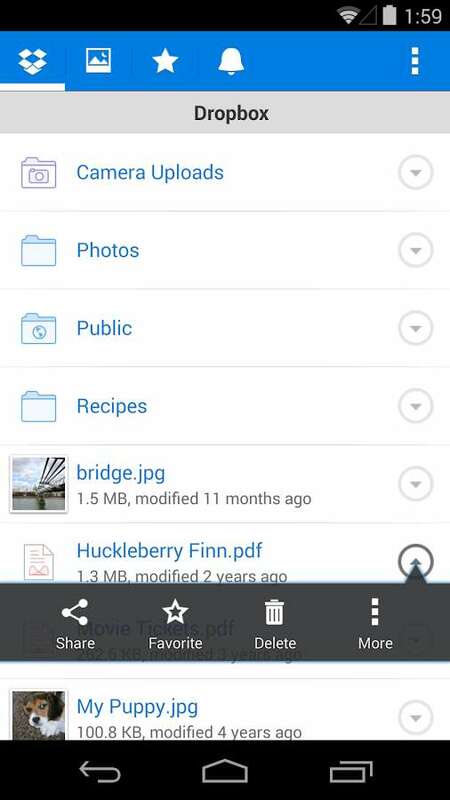 This is the most popular cloud file storage service and app available online. You can have a good number of gigabytes for free, and you can increase your storage space by inviting people to register to Dropbox. You can also share whole synchronized folders with other users seamlessly. This means you can get any one of your classmates to send you things for a group project without having to scramble too much. The foremost name in information gathering apps, Wolfram Alpha not only lets you get answers to just about everything in math and other subjects, but also helps you make sense of them. This is perhaps one of the best math apps you can have on your mobile device, letting you get a step-by-step explanation on just about anything you might have questions about. 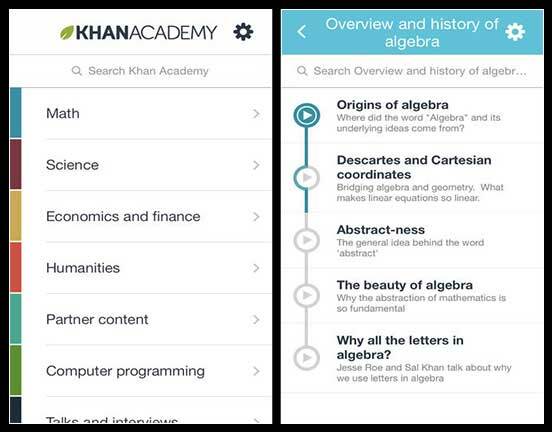 If you are looking to learn a bit more than what you just get in school, then you may be interested in Khan Academy. With more than 4,200 educational videos on different subject matters, you can supplement your learning in school with whatever you can get your hands on in this app without feeling the need to cram unintelligible data into your head since it all gets presented in an understandable way through videos. If you have to read up on web pages, but don’t have the time to stare at a computer screen, then you can take it with you by saving that page to Pocket. It is known as the “read later” app, which will then download the text and images from the page of your choice into your mobile device for later reading. You can then look it over in an easily readable format. If you are the type of person who usually runs late, then you may want to have a better alarm clock to wake you up. Math Alarm Clock is a pretty good app for that since it doesn’t have a snooze button to help you procrastinate on the urgent task of getting out of bed. Once it sounds off, you can’t shut it off until you answer a series of mathematical problems. Once you’re done, you most likely won’t be that sleepy anymore. This app is for whenever you need motivation or for when you just want to learn about something new. 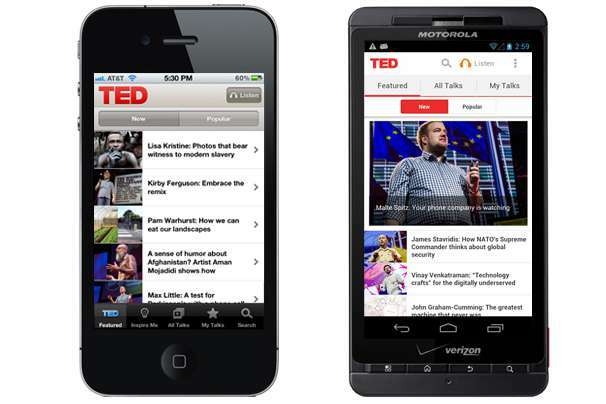 TED Talks is now well-known for its famous speakers talking about different interesting topics all around the world. There are only a few things more motivating and stimulating than a TED Talk, and now, you can have the talks right there on your mobile device. As with any young one aspiring for greatness, you most likely could use a pep talk through a TED Talk from time to time. As a student, you’ll most likely still be cash-strapped or at least in need of a strict budget. It’s always a good idea to start early in being mindful about one’s own money, and Mint.com is a great service for tracking and making sense of your personal finances. The free app lets you do everything you can do on the website right there on your mobile device, so you don’t have to wonder about where your money went after that expensive project that you had to pass. School apps that are directed towards students are only getting more and more popular and accessible. 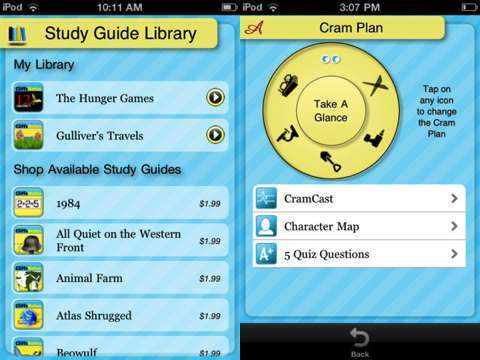 Keep an eye out for new ones that can provide simple solutions to issues you run into in your studying routine. Now that you know about this arsenal of education apps for students that is available at your fingertips, let’s look into websites that you can browse and refer to that can also boost your school performance. Nowadays, when you are having difficulty with understanding a concept or solving a problem in your homework, you can always refer to websites with the relevant information. This means you are able to learn at a faster and more productive pace than in previous pre-Internet generations, which is definitely a good thing. Whether you go to school or are homeschooled, these 50 websites are definitely worth checking out if you want to expand your horizons and gain some additional advantage in your academics. As many would say, every bit counts. Here are our picks for best educational websites. Extensive library of curated animated videos on different subjects, narrated by world-renowned educators for lessons that you can customize to learn what you want to learn. One of the best educational websites with courses on different topics from the world’s best universities specifically designed for interactive study online. Massive library of video interviews with over 600 thought leaders from a wide variety of fields. This is best for those who want to be inspired while figuring out what they want to get into. Affiliated with top universities and academic organizations around the world, offering classes with lectures taught by world-class professors. 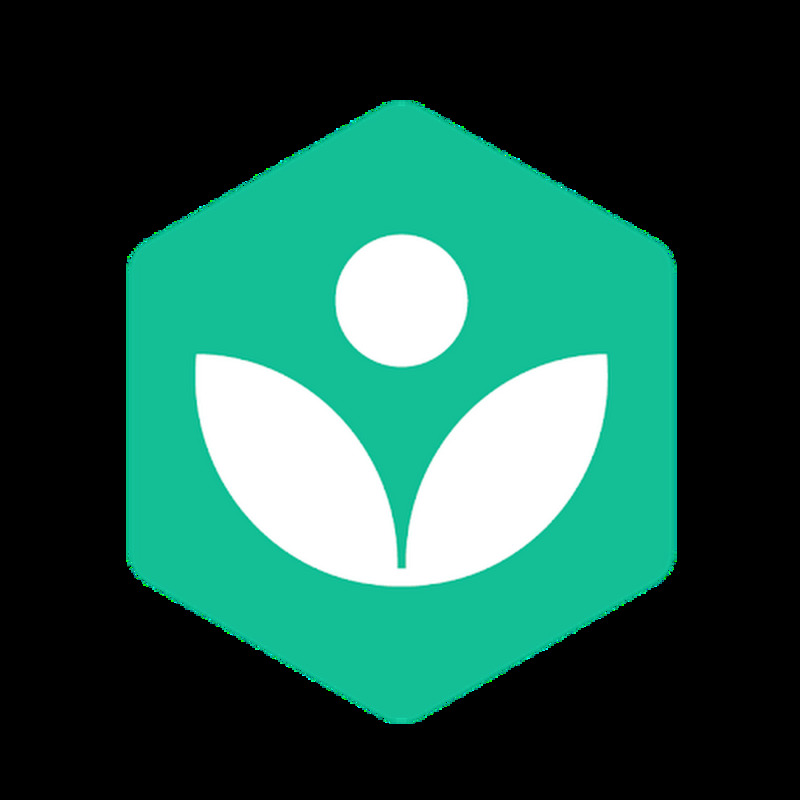 Similar to Coursera, offering self-paced learning through their extensive video library and interactive assessments and challenges for supplementary learning. One of the best free cultural and educational media available online, boasting a huge library of resources through their free and open platform. Also includes certificate courses and massive open online courses from top universities. Professional and user-generated how-to video guides on a multitude of interests for any sort of DIY project. Similar to Howcast, but with more user-generated and rated content. Step-by-step DIY guides on various fields of interest with images and illustrations. A math website that provides free math lessons through short-form online video lessons with professional educators to help make sense of complicated math concepts and solutions. Lets you sift through free online courses from top universities easily with an enhanced search function that lets you choose both the topic and level. Educational video series by Vlog Brothers and Nerdfighters Hank Green and John Green, as well as other experts, teaching different subjects in a casual and lighthearted manner with well-animated visuals. Improve your reading comprehension and retention by reading daily news. Each article comes with 5 reading levels, with both archived and new daily articles along with quizzes to help you get better at reading. It’s Wikipedia, but in language that just about anyone can understand, explaining complicated terminology with easy-to-understand descriptions that can make sense of even the most complex topics. This educational website makes searching up topics and understanding them a lot faster. 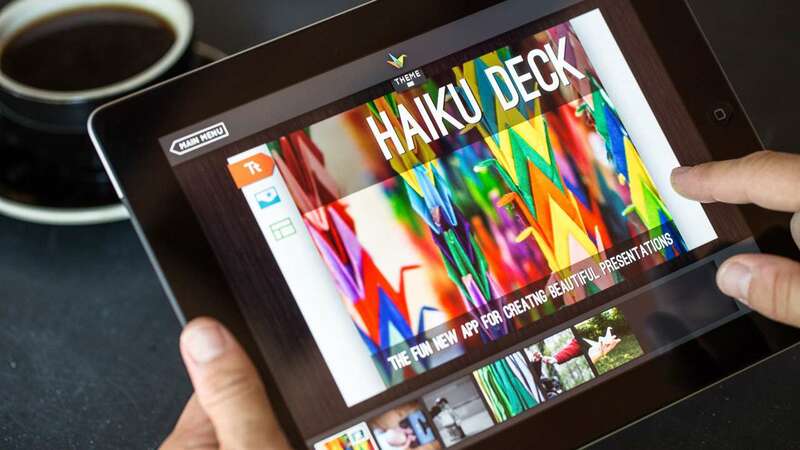 Lets you create beautiful image-focused presentations on your browser or on your tablet. You may then share, embed, and view through any web-enabled device. Great for when you have to give a report. Ask questions through video or audio, as well as track views and answers. Available in most web-enabled devices. Create animated presentations from either its libraries or your own creation. You can then share via YouTube, Facebook, or direct download. It is a quality platform for encouraging creativity and critical thinking in students. Similar to Ted-ED with animated videos on various subjects, made from talks by experts in their fields. Similar to Ted-ED and The RSA, but with animated reviews of non-fiction books explaining their main concepts and ideas. A premiere K-12 science education resource by the American Association for the Advancement of Science with teaching tools, interactive programs, podcasts, and hands-on activities. Dedicated to helping students improve their English vocabulary with over 40,000 multiple choice questions with difficulty that constantly adjusts to their current progress. A social platform where you can ask questions and have other users answer. The best answers can then be upvoted in order to float to the top of the page. Business management game for teaching high school and college students how to run a business, from managing day-to-day operations to coming up with strategies. Players control a game development company that must be kept afloat and somehow turn in profit. Online chemistry game wherein players create molecules using the atoms on the screen. Helps students learn how atoms combine to create molecules through understanding valence. Puzzle game that stretches analytical thinking skills to the limit, making students solve puzzles and riddles to earn trophies and complete challenges. 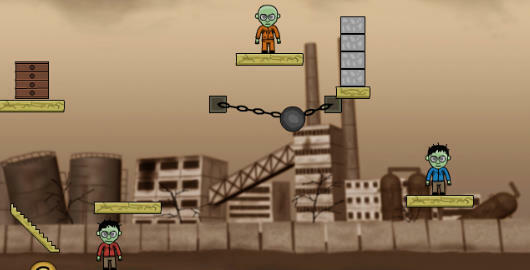 Players must unlock the door to proceed to the next level without getting hit by spikes. Medical game for children that shows how doctors and nurses work by making them treat patients as quickly and efficiently as possible. Interactive images for developing new skills; also lets you turn video into conversation platform, add tags to images, embed and share, and so on. Lets you be a part of the Kids Conservation Organization and learn about the environment, why conservation is important, and how to play your part. Massive website catalog of the world-famous Smithsonian Institute, tackling art, science, nature, history, culture, people, and places. Designed to teach science and math in an out-of-classroom setting. Has an enhanced search feature, as well as an app and links to 10 PBS Kids Science shows. Programs developed by professionals specifically for K-12 classrooms. Another math website, but this one focuses on videos. It provides online video math lessons by professionals, from basic arithmetic to differential and integral calculus. Lectures and course materials for students, teachers, and autodidacts from the world-famous Massachusetts Institute of Technology. Video arm of MIT Open CourseWare, with a guide to over 11,000 MIT videos and lectures. 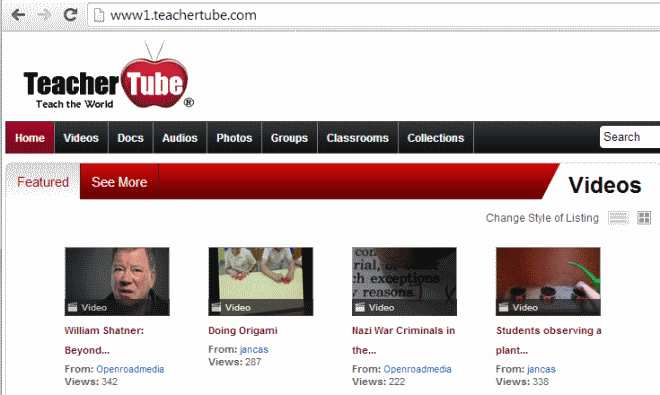 Online aggregator of high-quality educational videos fit for K-12 students. Over 3,500 densely-informative videos from distinguished researchers and scholars to fuel your academic passion. 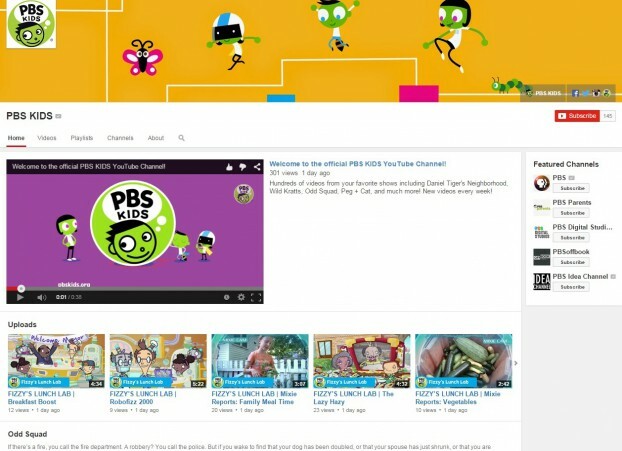 The Public Broadcasting Service also has a YouTube channel that is actually pretty good, providing educational video content for all ages, from kids to anyone else who is interested in learning. Includes PBS programs such as NOVA and Frontline. Video sharing platform for schools, letting students create original content for the purposes of both instruction and sharing the learning experience. 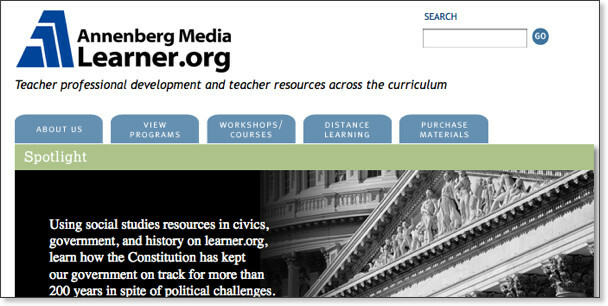 High-quality videos and resources made for the development of educators. Massive library of free full-length documentary films. Great resource to learn about a variety of different subjects through documentaries. Online aggregator of educational videos for all ages. Online aggregator for educational videos, compiled from all over the Internet and curated for your convenience. Free search engine and directory for how-to videos on different subjects. Online learning platform by Yale University with a selection of free introductory Yale courses, perfect for those who are preparing for college. YouTube’s educational video platform open to educators, content creators, and viewers, featuring lectures from over a hundred colleges and universities. Subscription-based provider of original animated educational videos of all sorts. Compilation of over 30,000 video segments from Discovery Education. Also requires subscription. Great multimedia content that works well in classrooms everywhere. Online aggregator of free online video lessons and documentaries. One of the most underrated parts of Apple iTunes. Contains free lectures, language lessons, audio books, educational podcasts, and more. Education websites are important in helping make a student’s lives a little easier. They are also great outlets to aid people who want to get ahead or learn something new on their own. Keep the ones that interest you bookmarked on your phone and why not take a closer look at the ones you’ve saved when you’re bored on the bus next time! Filter through what’s best for you and you just might find a website that you’ll find to be invaluable. There’s a lot of time that gets lost in our lives when we don’t quite have a clear task that we’re actively doing–whether it’s travelling to school, heading off to meet up with friends, or just wanting to sit and relax at the end of a day. One thing that can be done as long as you have a phone on you is listening to podcasts! Why not try listening to Podcasts to give yourself some insights about life. There are tons of podcasts that you could find all over the internet. Topics range from Academic Related stuff where you can extend your knowledge in any particular class that you like, to inspirational ones which would give you some great things to think about on how to live your life and how to enjoy what you have. 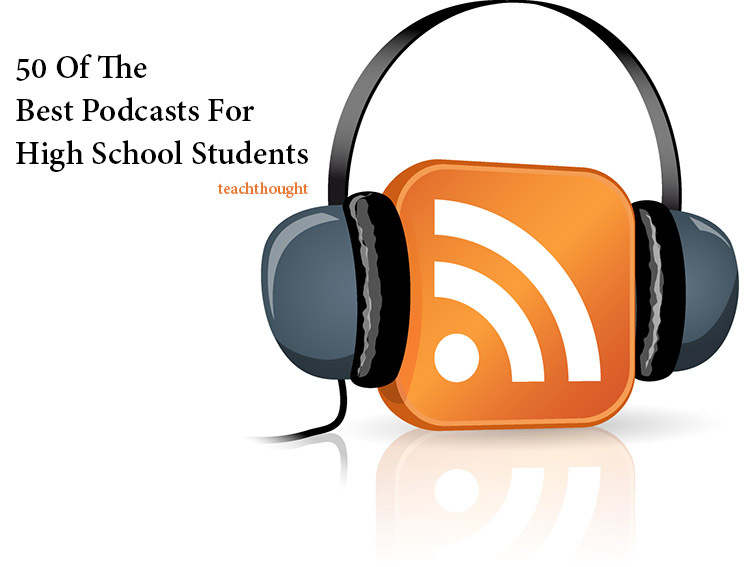 Here’s a collection of 50 Podcasts that students should listen to, categorized into the four general topics that would likely help you focus on what you would choose to be in the years to come. Not everyone can be a History Buff, a Grammar Nazi, a Science Geek, or a Poetry enthusiast, but a person could try listening to one of these Podcasts. You can touch on subjects from almost every class, such as Science, Math, English, History, and Literature. There are things that we can’t just learn in a four walled classroom, which is why these Podcasts could offer you more practical applications of the theories you’ve learned in class. Not only that, but as you get to know more advanced ideas in certain topics, it could help you appreciate taking those classes more. Everyone has their own sets of hobbies and interests. Some might be more into arts (in all sorts of forms) or perhaps photography, or knitting and crocheting. Others might be interested in the latest innovations in technology. Others yet are superbly curious of how things work so they could make videos of it on Youtube. There are those out there who like stuff about Animals, the Universe, the Mind, Documentaries and Conspiracy Theories and so on and so forth. So for all of us who have different tastes towards what we like doing, here’s a list of Podcasts for those various hobbies and interests. Whether you’re into putting things up for auction on eBay, having garage sale on weekends, or even making homemade cookies and cupcakes for deliveries, it’s about time you started learning more about the techniques on how to make your business flourish into something bigger. Who knows—you might even be able to turn your business into a career if you decide not to go further into college. Or you might go to college with clear goals in mind to learn how to further expand your business. Having an entrepreneurial mind never hurts! But, it’s never just about learning theories in business. Having the ability to be quick and efficient in decision making is very important too. Why not invest a bit of your time listening to pros on how they handle their businesses? Here are some of the best business podcasts. There are plenty of days when we feel down. Going through school means you’ll likely run into days where you feel like everything isn’t going how you want them to and that you feel like there’s no point to all the things that are happening around you. Take a second to remember that people around you are facing the same struggles too. Some of them have worse things to think and feel about but they still push themselves to go on with their lives. Get to know their heartwarming stories that might tug on your heartstrings. Live by their examples and inspire others like how they inspired you. Many think of mathematics as a field best left to those who are born to understand it, but that is far from the truth. The thing about math is that it is used by both geniuses and laymen alike for a variety of purposes. Since it’s the language with which one can understand more of the universe, there are plenty of stories about those who are very much into it and those who somehow got use out of it. These are not just stories about numbers, but also about people and their lives. While numbers do play a role, it’s their struggles and relationships that truly make their stories compelling. What’s a good medium for stories? How about film? You may find math in movies where it turns out to be the main driving force throughout the story. 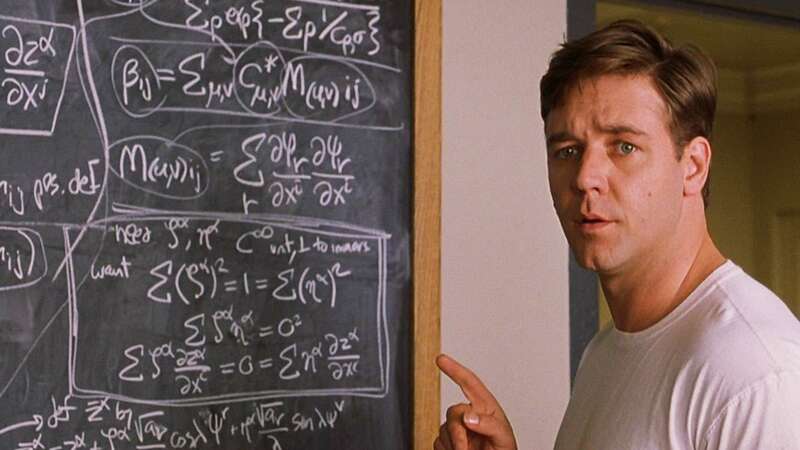 There are plenty of math movies that end up telling great stories, and here are some of the best ones to be inspired by. This is based on the true story of the MIT Blackjack Team and the emergence of “card counting”. A group of MIT students and a math professor get interested in blackjack and formed a team to win big money in Las Vegas. By using the process of elimination and certain mathematical strategies, card counters can predict the next cards that may come up and play accordingly, turning a game of chance into that of skill. This is loosely based on the early life of John Forbes Nash Jr., a Nobel Laureate in Economics known for his work on game theory. Most of the film explores his struggles with schizophrenia and the impact it had on his friends and his wife Alicia. As he gradually learns to deal with his hallucinations and paranoid delusions, he soon earns back the trust of the people around him and does his best mathematical work yet. It is once said that a trader learns the flow of the stock market by intuition and experience. However, Jim Doyle doesn’t think so and believes that the ups and downs of the market can be accurately predicted. Upon coming up with his formula, he is then sought by Centabank CEO Simon O’Reilly, who takes Doyle under his wing in order to make the most of his breakthrough. But as Jim Doyle learns more on how “greed is good”, corruption soon creeps in. 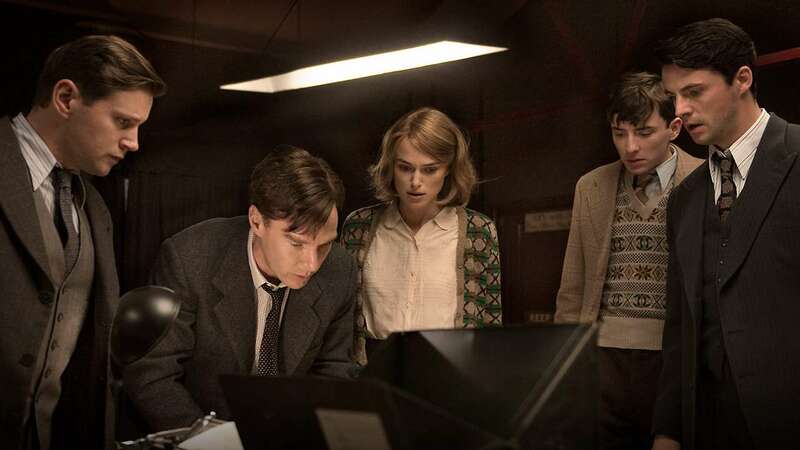 Based from the events of World War II and the quest to break the infamous Enigma code, the story is about cryptanalyst Tom Jericho and how he helps the codebreaking team in Bletchley Park to crack the German code. Meanwhile, he is beset by the memories of his ex-girlfriend Claire while he worked with her roommate Hester. Along the way, they uncover something horrific and must deal with a betrayal in their midst as a war continues underway. 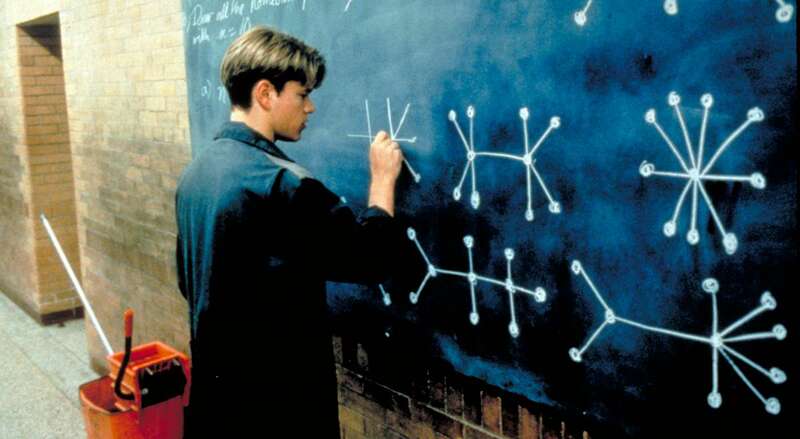 Twenty-year-old Will Hunting is a genius, but he works as a janitor in the Massachusetts Institute of Technology. His intellect and self-education is such that while a professor struggled with a difficult problem, Will solved it in his spare time when he saw it written on the board at night. The film then follows the young man’s journey to uncover his true self, struggles with his inner demons, and the people around him trying to bring him out of his shell. Another movie set in World War II, this is about the life of British mathematician and cryptanalyst Alan Turing, based on the biography Alan Turing: The Enigma by Andrew Hodges. It is told through Turing’s perspective during his interrogation by the police, starting from his days in boarding school to when he first joined the team in Bletchley Park. While he contributed greatly to the war effort with his breakthroughs in solving the Enigma code, he also lived in a time when his homosexuality was considered illegal and taboo. Professional sports had always been a game best played by feel, and a big budget doesn’t hurt either. However, baseball general manager Billy Beane doesn’t have the latter with his Oakland Athletics. But an idea then hits him that would revolutionize how professional sports teams are managed. 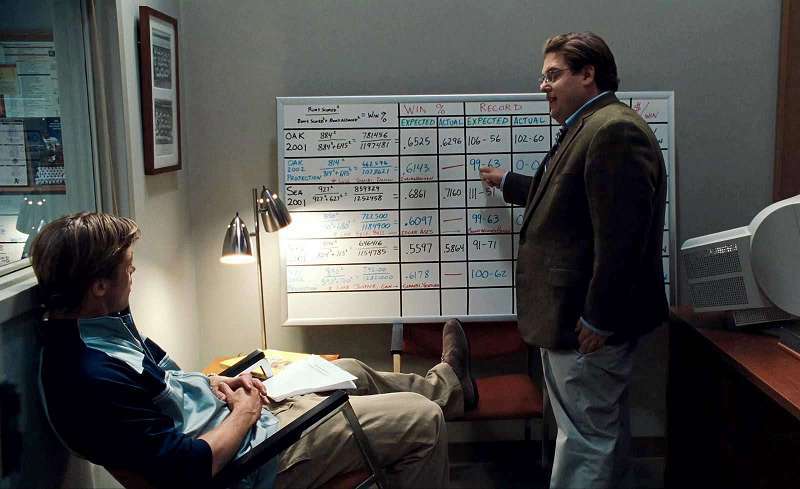 By using sabermetrics to pick undervalued talent to increase their performance despite financial limitations, the Oakland A’s were able to rack up 20 consecutive winsóan American League record. 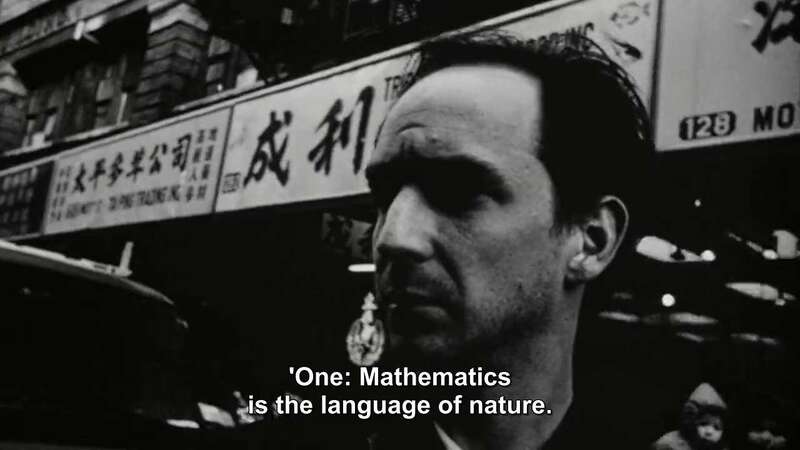 The debut film of the director Darren Aronofsky, this is a psychological thriller about a mathematician’s quest to decipher the true meaning of the number that seems to be found in all throughout nature. As he digs deeper into the true meaning of the number, he struggles with severe headaches, hallucinations, and a deepening madness that is slowly overtaking him. The daughter of a brilliant mathematician gone mad and his former student fight over a notebook containing proof to an important theorem. While he seeks to understand the logic behind all the gibberish in the notes, she claims the proof to be hers. Along with the dispute are signs of her father’s illness in her and growing feelings towards the man she is struggling with. Have you seen any of these math related movies? If not, definitely give these a try during one of your movie nights. You just may find yourself appreciating math a lot more than you usually do when sitting in a classroom! Now that we’ve come to the end of this lengthy compilation of digital resources, we hope you’re well equipped to making your computers, phones, and tablets a helpful part of your educational journey! Don’t forget that we also have videos, online lessons, and practice problems that are accessible to you online. Whether whipping out your phone to revise a math lesson, or practicing sample math problems tailored to your upcoming exams, we’ve got the resources for you. Feel free to try out our 7 day free trial now to get started!